A bitter dispute between London and Moscow dominates the agenda. Now more than ever, Britain needs to focus on its true interests. 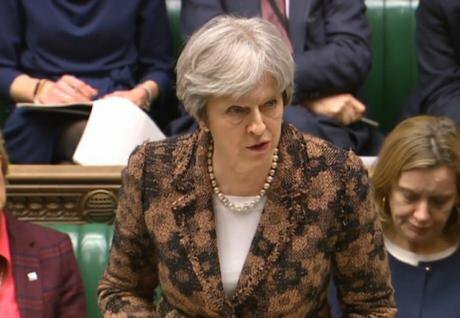 Prime Minister Theresa May speaking in the House of Commons in London about the Salisbury attack, March 12, 2018. PA/Press Association. All rights reserved.The controversy over the nerve-agent attack in the southern English city of Salisbury on 4 March is escalating tensions between the United Kingdom and Russia. A by-product is further demands on the Conservative government in London to increase the military budget. Their early fruit is a commitment to build a new chemical-warfare research facility at the key Porton Down laboratory, at a cost of £48 million. By coincidence this crisis has arisen when parliament’s joint committee on the government's national-security strategy is engaged in its so-called national-security capability review. An unusual and welcome aspect of this review is that it is taking evidence from several groups which contest the priority given to military funding. Instead, they say that the time is right to pose fundamental questions: what security for a state such as the UK should really mean and how it might best be achieved. * the likely challenges of the coming decades. The first area relates to the disastrous wars in Afghanistan, Iraq and Libya, successive episodes in an even wider “war on terror” that is now well into its seventeenth year. These experiences might appear to have taught some political lessons, mainly through the Chilcot inquiry into the Iraq war. But there is little evidence of this in the military sphere, where thinking has merely moved from overt to "remote warfare" involving armed-drones, special forces, and privatised military companies. Meanwhile, security heads acknowledge that al-Qaida, ISIS and the like are themselves far more likely to metamorphose into new entities than disappear into oblivion. 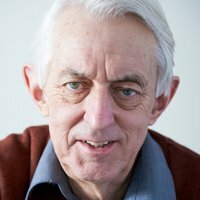 The current phase of low-visibility, shadow wars may well turn out to be just as problematic as tens of thousands of "boots on the ground" were in the post-9/11 decade. The second area concerns Britain’s actual defence posture, which is increasingly skewed towards two projects reminiscent of the days of empire: a hugely expensive nuclear capability, and the completion of two giant aircraft-carriers. In both cases too, the cost overruns and inefficiencies of the major contractors attract little attention. The third area is a focus on the way that the UK's defence thinking remains stuck in a timewarp and unable to come to terms with a rapidly changing world. This predicament was expressed succinctly by the Rethinking Security network in its evidence to the current inquiry, which identifies "conceptual shortcomings of the National Security Strategy and Strategic Defence and Security Review 2015 (NSS &SDSR 2015)" which "undermine both the government, and parliament’s ability to test the effectiveness of current approaches to national security". The network goes on to argue that "the current prioritisation of security threats overlooks chronic underlying drivers of insecurity", which include deaths from violent conflict (at least 157,000 in 2017, more than double the number recorded ten years previously); deteriorating human security (as the effects of our ecological crisis are felt across the world); increasing refugee flows; extreme economic inequalities; and a reversal of global progress towards democratisation and freedom. "These underlying drivers of insecurity - which perpetuate many other short-term challenges that negatively impact the UK - receive insufficient attention in the NSS & SDSR 2015”. So far, more establishment groups and individuals, including senior military figures, have been prominent in giving oral evidence. But in addition to Rethinking Security, innovative groups such as Saferworld, Oxford Research Group, and Campaign Against Arms Trade, have offered their own findings. The more expansive view these projects represent may ensure that new thinking on security issues will this time be taken into account, and not ignored as so often happens. Their various ideas, circulated in parliamentary and related forums, go well beyond critique of existing deficiencies: they also identify multiple high impact/low cost ways for Britain to carve out a role that would be of sustained value well beyond its shores. The challenge of turning these ideas into real impact is substantial. Britain is a country that has serious difficulty coming to terms with its imperial past; its governments often find electoral advantage in emphasising traditional threats; and its military-industrial-academic-bureaucratic complex has remarkable stability and lobbying power. But creative thinking about real security as the foundation for change has never been more essential. 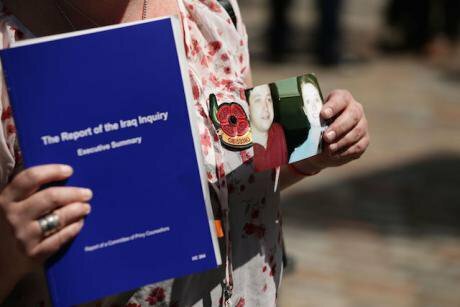 Sarah O'Connor holds up a photo of her brother Sergeant Bob O'Connor who died in Iraq, as she leaves the Queen Elizabeth II Conference Centre, London, after the publication of the Chilcot inquiry into the Iraq War, July 2016. Yui Mok/Press Association. All rights reserved.